Get over hiring difficulties and talent development. 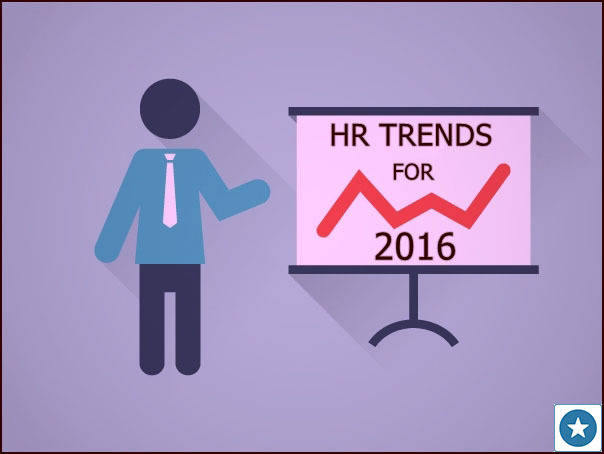 As we enter 2016, we welcome a promising year of new HR trends with changing mindsets and increasing integration of technology. Here are the top 3 Human Resource predictions to watch for. Experts believe that the key to increased productivity lies in employee recognition and engagement. In fact, it is directly linked to better performance, profitability and customer engagement—outcomes that businesses of all types are seeking. If your employees feel appreciated for their efforts, it is natural that they will actively contribute to your organization’s growth. If employee rewards are a part of your workplace culture, you can also do away with talent retention worries. If you’ve used Slack’s team-based messaging software or Yammer’s collaborative social environment for businesses, you already know what we’re talking about. “We’re seeing an evolution here; it’s becoming more about total employee well-being” says Stich. With platforms like Recognize on the rise, it is clear why employee recognition is on the HR’s radar this year. Any organization dealing with over 50 full-time employees will be aware of the monthly requirement to report and track data, thanks to the Affordable Care Act. If paying penalties or spending hours collecting data from multiple systems is not an option, integrated human capital management solutions come into the picture. While we’re on the topic of data, it is worth mentioning the focus on prevention of data breaches in 2016. The digital era poses various threats such as hacking of employee and customer data and has a direct impact on the business community, so time for companies to pull up their socks for extensive data management and security! This entry was posted in Employee Recognition, Engagement, Human Resource, Social HR and tagged data analytics, employee benefit plans, Employee engagement strategy, employee recognition, employee rewards, employee wellness, hr trends 2016, human resource technology, Rewarding staff, Slack employee recognition, slack HR, Social employee recognition, social HR, tech hr, workforce management, Yammer employee recognition on January 11, 2016 by Alex Grande.